Were you aware that the Common Core ELA standards call for publishing, communicating, creating and commenting ONLINE ? Did you know these actually apply to ALL content areas, not just ELA? Students are expected to be able to collaborate, comment and publish posts and comments effectively and properly. GlogsterEDU, GoogleApps, Storybird, Backchanneling, Blogs, Wikis, and so many other web 2.0 tools incorporate these key elements. As educators, it is our responsibility to teach and support students as they learn how to be model digital citizens. Acknowledge the author of the blog post. Let the author know if you agree with him/her and why. It is also ok to disagree with something, just let the author know why you feel that way. One word comments are not very useful. Writing just “cool” or “nice” are not very helpful and don’t let the author of the blog post really know what you are thinking. Always make sure you follow “netiquette.” Think if it is appropriate BEFORE you hit the submit button. Always be polite. It does not matter if you agree or disagree with what you are reading in a blog. Don’t write anything you would be ashamed of saying to someone’s face. This made me think about……. 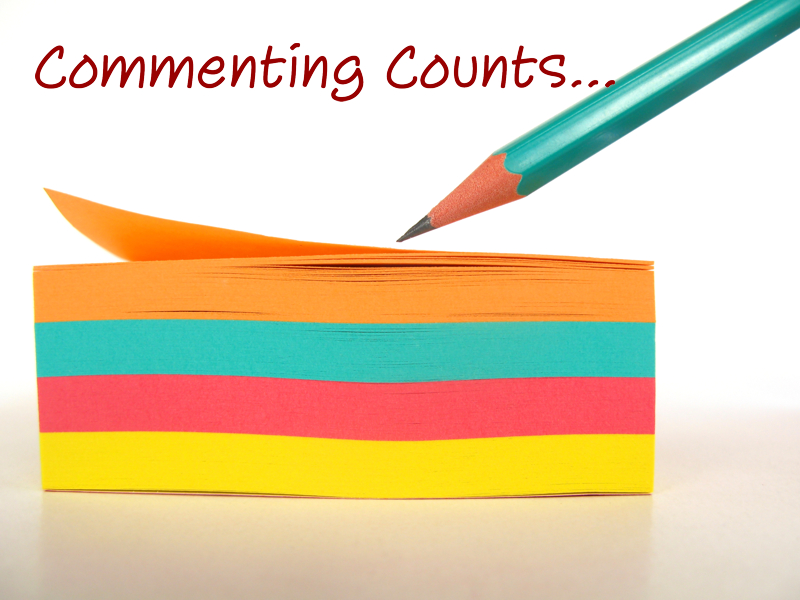 Your writing made me form an opinion about……. This post is relevant because……. Your writing made me think that we should……. I wish I understood why……. Click on the glog that you would like to view. After spending some time exploring, scroll down to where it says ‘Comments.’ Below ‘Comments’, there is a box that says “enter text…”. After proofreading, checking for spelling, capitalization, and grammar, press send. Your comment will appear below the text box. Repeat this same procedure for each glog you are commenting on. Comments must be related to the information in the glog. I really liked …………………… about your glog because…………. My favorite part about your glog was………………… because…………. The most informative part about your glog was……….. It taught me that…………. Once question that your glog sparked for me is ……………..
Once connection I can make to your glog is …………………..
Donna, this is a very well – written post with valuable information for teachers in all disciplines. Too often teachers jump on the blogging bandwagon with few instructions on how to participate other than telling students how many comments they must leave on a set number of blogs. The suggestions you cite are very specific and helpful, not only for students but for adults, as well. I have been very impressed by the resources that Bill Ferriter (The Tempered Radical) and Caitlin Tucker (Collaborize Classroom) have gathered, as well. The suggestions you present are a nice, comprehensive resource. I also found the suggestions you passed on about commenting on Glogs were also valuable. I intend to share your blog with many of the teachers in my district. Thanks for curating these resources. Thank you Carolyn 🙂 I empathize with your frustration re: # of blogs posts vs. the quality of posting. I see the same thing with other technologies: ‘X’ number of slides, ‘X’ number of transitions, ‘X’ number of images, etc., etc. Why are we not talking about the ‘message’, the validity of resources, the ‘argument’… It’s so not about the skillset or the elements that make up the tool, it’s about teaching, learning and assessment.. Thank you for those references as well. I’m digging in to them as we speak! Donna, your post is really helpful for those who want to learn how to write properly. Only your tips can make comments already sound fantastic and correct. I wonder how many people/students really use that tips and if they helped them to improve their writing skills? The best ever place on internet for the word solver anagram is anagram names generator. Indeed, numerous organizations, college, and school are sorting out and rolling out some basic improvements which can be useful for the understudies like they have presented the advanced assets which can enable the understudies to assignment help | Speedy Assignment to learn numerous new things and for the benefit of these assets, understudies can learn numerous things and it might help them to think differently which can delineate them to have some unique systems on this thing. When it’s your summer break, most students wish to relax and laze around, due to the fatigue which surrounds the holiday. However, when tasked with the task of writing elaborate essay pieces, it becomes difficult to enjoy your holidays. Hence, in such situations, the best option is to make use of the Write My Essay UK, which is Best Essays Writing. Summers are pleasant yet far too short, spring and fall are all in or all out. Anyway the fall foliage is quite often really lovely, and we have the best fall foliage on the planet. We have some extraordinary shorelines too, however I would prescribe just those on the Cape, Islands, Buzzards Bay and the South Coast of RI.